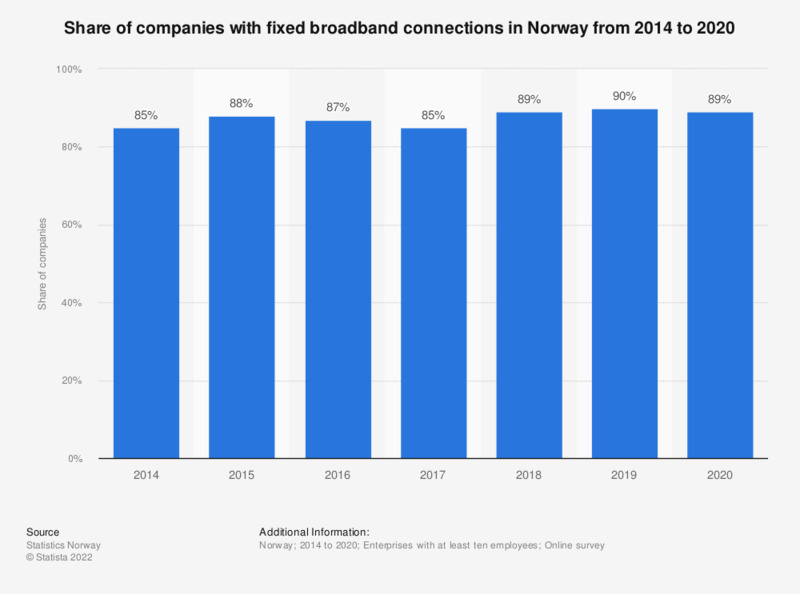 This statistic shows the share of companies in Norway who had fixed broadband connection from 2014 to 2017. The highest value was reached in 2015, when 88 percent of the responding companies had a fixed broadband connection. In 2017, the number decreased to 85 percent. The population for the survey includes all enterprises with at least ten employees in the Central Register of Establishments and Enterprises in the following industries (SN2007).